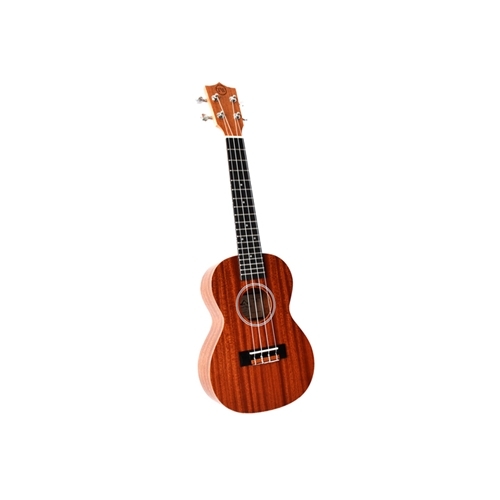 Our newest pioneer ukuleles are almost irresistible. Great for beginners, classrooms, and anyone on a budget looking for a quality instrument. We’ve updated every feature to offer what we feel is the best entry-level ukulele on the market. Features: Chrome die-cast closed back tuners for precision tuning, Bone nut and saddle for sustain and tone, Aquila® strings standard for tone and reliability, Tie bridge for easy string changes, Includes 5mm Twisted Wood padded gig bag, Purple Heart wood fretboard.